It seems everyone is looking for the elusive best credit card. You know, the credit card that will check off all your “must have” boxes. …the possibilities are a little dizzying. One thing is true, however – credit cards are not one-size-fits-all – and the perfect credit card for me might not be the perfect credit card for you. So, how do you find the perfect card for your wallet? With these things in mind, you can start narrowing down the options. the best credit card for perks and insurance. Already know what type of credit card you’re looking for? Jump straight to our Rate Your Wallet quiz and start working on your creditcardGenius.ca virtual wallet. 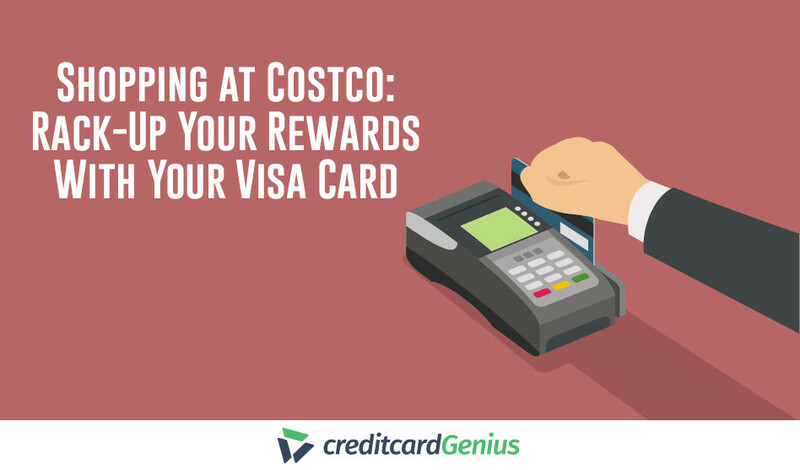 And choosing the right kind of rewards is key to getting the most out of your rewards credit card. If you travel a lot or dream of visiting new places, a travel points credit card will allow you to earn points or miles on each dollar you spend. Loyalty is key with a Travel+ rewards card since the redeemability of the rewards you earn are usually limited to specific airlines or stores. For example, the allows you to earn rewards on every dollar you spend, which you can redeem for meals and drinks at Starbucks. These cards are great for Loyalty Program lovers. If you’re looking to save money on some of your everyday spending, a cash back card could be ideal. With cash back cards, you don’t have to worry about complicated point value calculations or redemption options. 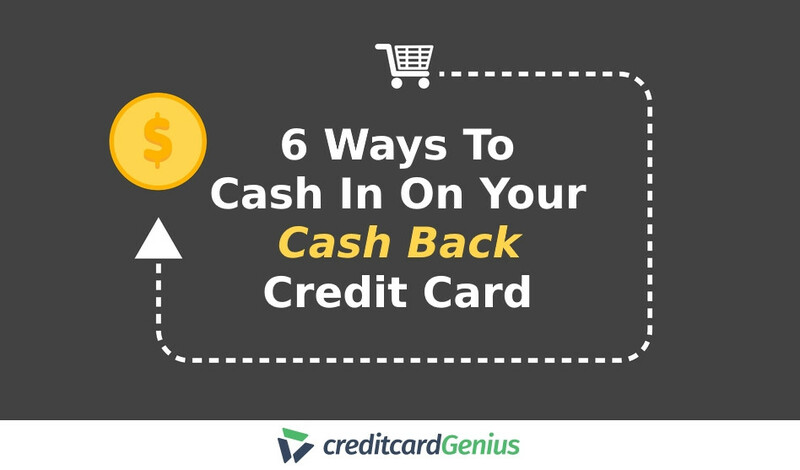 You get simple, straightforward cash back. It’s the most direct approach to rewards. You’ll earn anywhere between 1% to 6% cash back on each dollar spent (depending on the card you choose), often earning the most cash back on specific spending categories like groceries or gas. If you’re a bit indecisive or want the best of both worlds, a flexible rewards card might be the perfect fit for your wallet. Struggling with credit card debt can be a real challenge, and trying to salvage your credit score along the way can be even more challenging. Lower interest rate credit cards are here to save the day. If you find yourself getting declined over and over again due to a poor credit score, a secured credit card could be the answer to your problems. Your chances of getting approved for a secured credit card are much higher. Why? Because secured credit cards require a security deposit which the bank can hold as collateral against your credit limit. The best part about secured credit cards is they will work with you in improving your credit score. They will often give you free access to your credit score as well as access to proper credit education. All you need to do is make your payments on time, and you’ll be able to see your credit score crescendo in no time. you’ve found yourself struggling to get your credit card balance down and interest is gobbling up whatever payment you make on your card. These cards will give you a lower interest rate (usually dependent of your credit score and the prime rate) so instead of paying 20% or more on your credit card balance, you’ll be able to take advantage of something much lower. If you’re new to the credit card game, or you don’t quite spend enough to justify an annual fee, a no annual fee credit cards are a great option – the benefit of a credit card, with none of the costly payout. 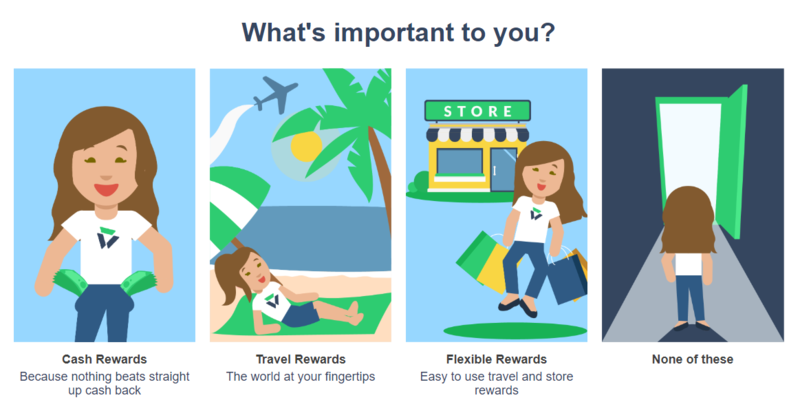 Although they might not have as many perks as the more expensive premium credit cards, it’s nice to know that all the rewards you earn will stay right where you want them: in your pocket. For what premium credit cards might lack when it comes to low annual fees, they definitely make up for in valuable, envy-worthy perks. 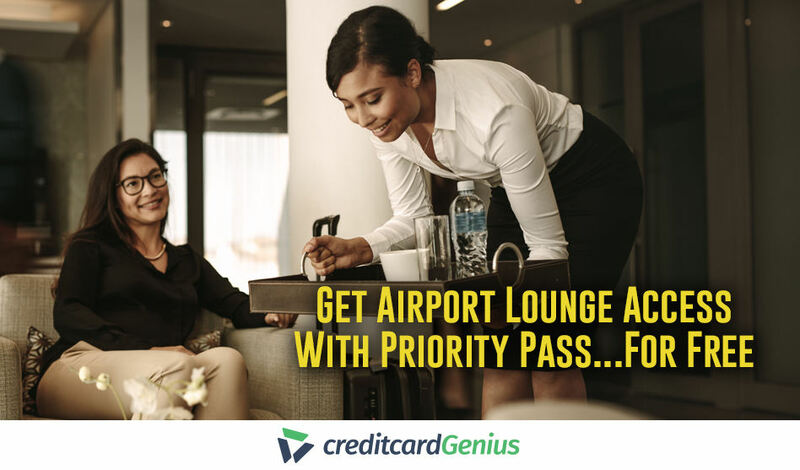 If you’re looking for status, convenience, and exclusivity, a premium credit card could be for you. You can’t put a price on peace of mind. 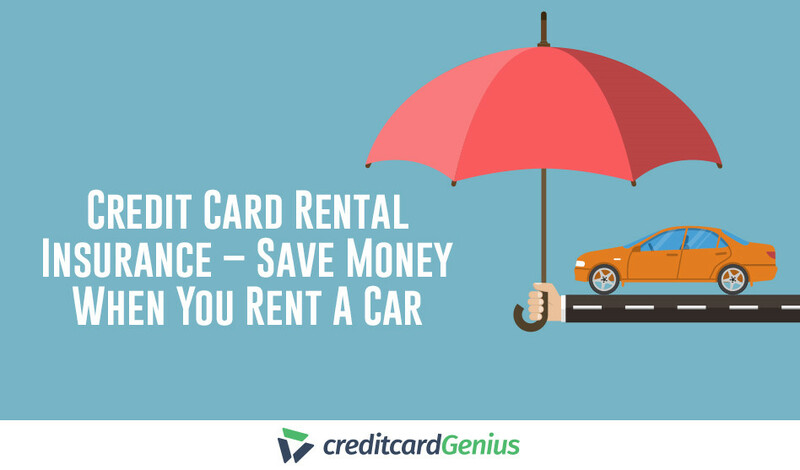 That’s why most credit cards come with some kind of added purchase or travel insurance. 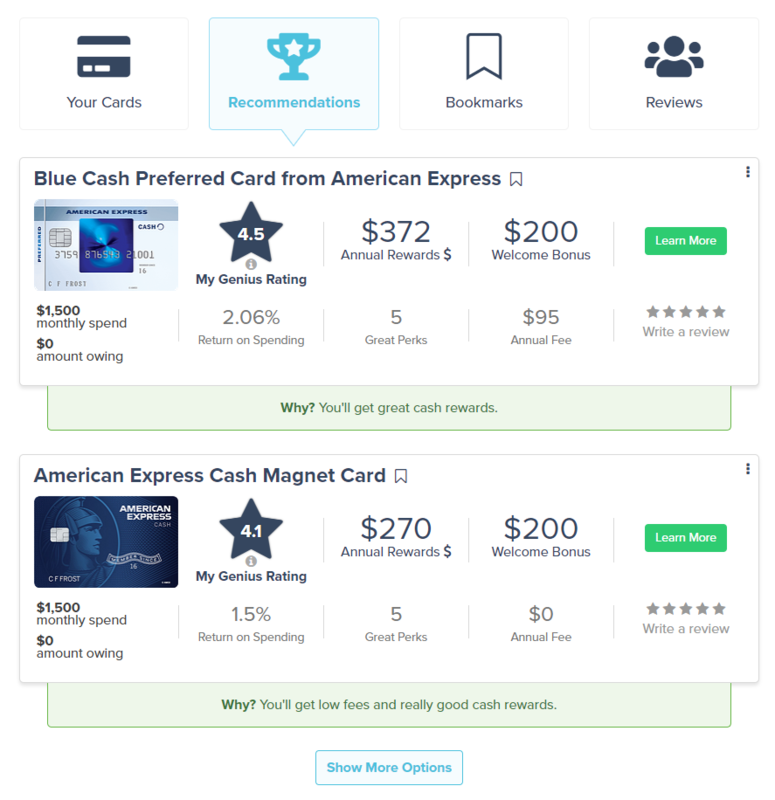 Now that we have some credit card basics out of the way, we want to introduce you to our credit card matchmaking tool. 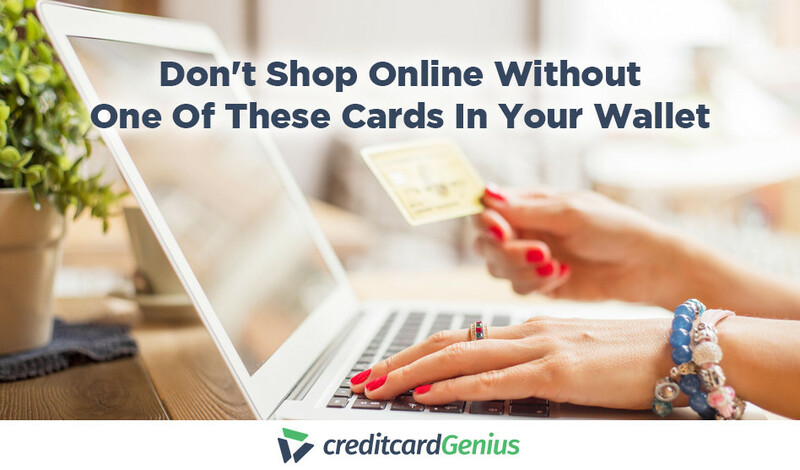 It’s because credit cards are not one-size-fits-all that we created the Rate Your Wallet quiz. We want our readers to have access to tailored recommendations based on their spending, income, and preferences. It’s as easy as completing a fun, 3 minute-quiz to get the answers you crave. To start, you’ll tell our tool what’s most important to you. You’ll even be able to indicate just how important each category is to you. Fairly, Somewhat, Must Have, etc. Once these questions are answered, you’ll also be able to personalize your spending breakdowns, giving you the most specific results possible. This comes in handy because some credit cards will give you super-boosted rewards for certain specific spending categories. If you spend the most money on groceries, for example, we’ll make sure to include some cards that will reward you the most for this. 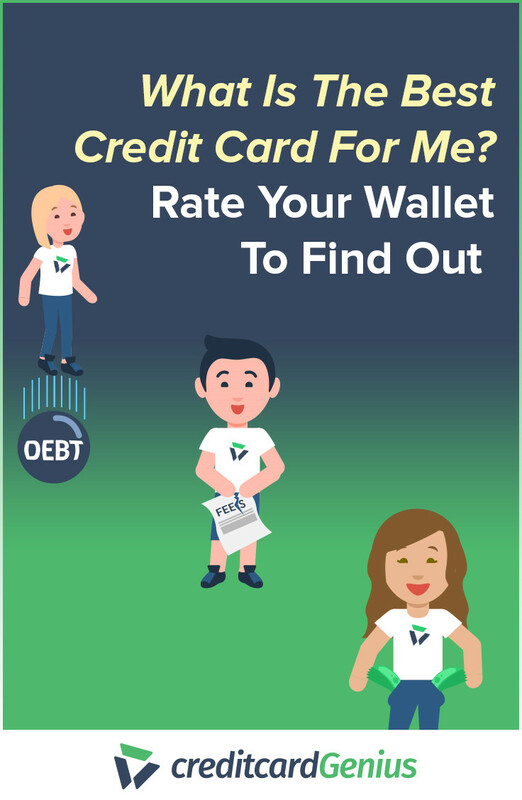 Another important question that the Rate Your Wallet quiz will ask you is your credit score. If you don’t know your credit score, you can provide a guesstimate range. Our quiz will base credit card recommendations on your credit score – suggesting the cards to you that you are most likely to be approved for. So, the more precise you can be, the better. 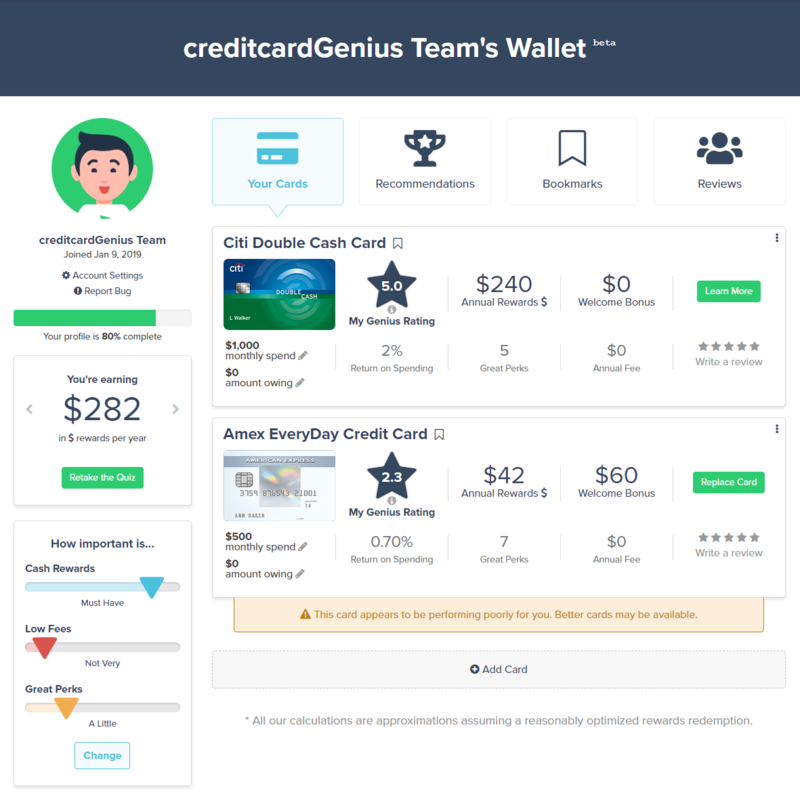 Once you’ve completed the Rate Your Wallet quiz, you’ll be taken to your personalized user dashboard, complete with unbiased recommendations, as well as some other cool features. The cards that you’ve added in your wallet will be compared to over 130 credit cards from the U.S. credit card market using your provided personal preferences, spending habits, and credit score. Each card gets a personalized ‘My’ Genius Rating out of 5 telling you just how close you are to having the best available card for you in your wallet. Do you have the best card in your wallet? This is where you’ll find out how your wallet is performing. For example, if you prefer cash rewards, but you have a travel card in your wallet, Rate Your Wallet will point this out to you. If your wallet isn’t up to snuff, we’ve got your back. In the “Recommendations” tab, we make suggestions on credit cards you might want to consider and why, based on our advanced matchmaking algorithm. It’s important to be as accurate as you can, so we can recommend the absolute best results for you. Interested in a particular card? 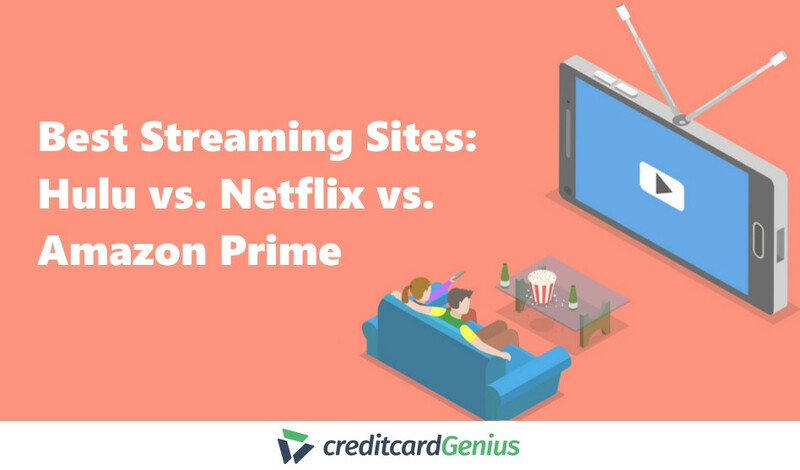 Anytime you’re reading a blog article or browsing creditcardGenius, you can bookmark any credit card that you want to compare or look at later. Or, if you apply for a credit card, it will automatically show up under your pending applications in your wallet – making it super easy to keep your wallet up-to-date. Experiences are important, and that’s why user reviews have an impact on the ‘My’ Genius Rating. Want to leave a review? Share with us why you loved your card, or why you might consider cancelling it. The “Reviews” tab on your dashboard is where you’ll be able to keep track of any reviews you’ve left. What’s the best credit card you? 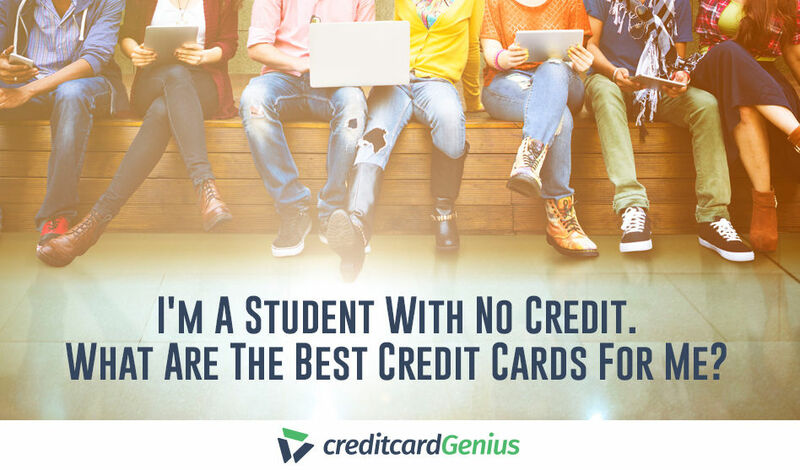 Our mission is to make sure you have the best credit cards for you right where they belong, at home in your wallet. 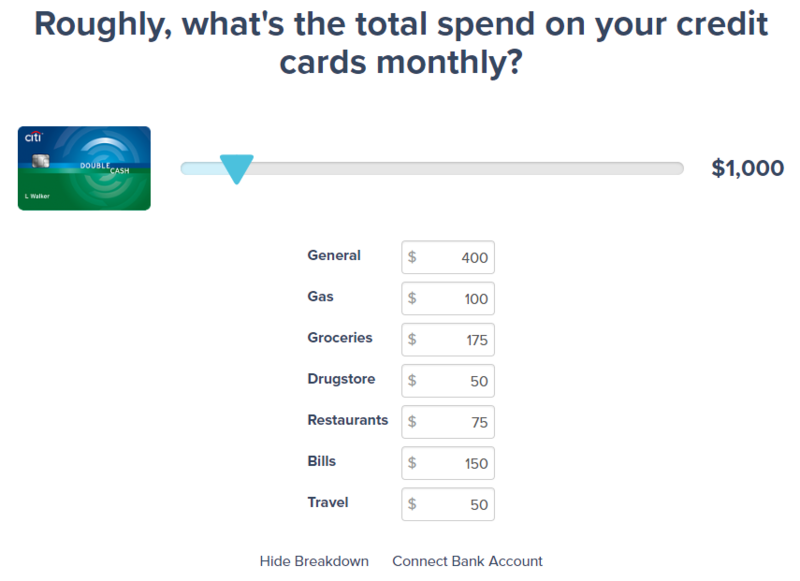 Take the quiz, have a look around your dashboard, and put your wallet to the test. And, as always, feedback is welcome. I’m A Student With No Credit. 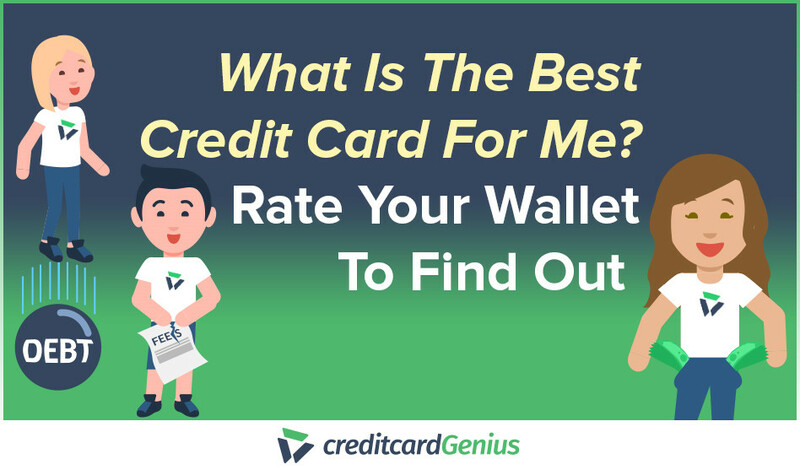 What Are The Best Credit Cards For Me?